I am a jewelry designer. I make handmade jewelry with a Vintage or Steampunk flair. Until last year, I was an artist disguised as a middle school science teacher. When my boss decided that I should be a reading teacher for the upcoming school year, I decided to let my inner artist out! 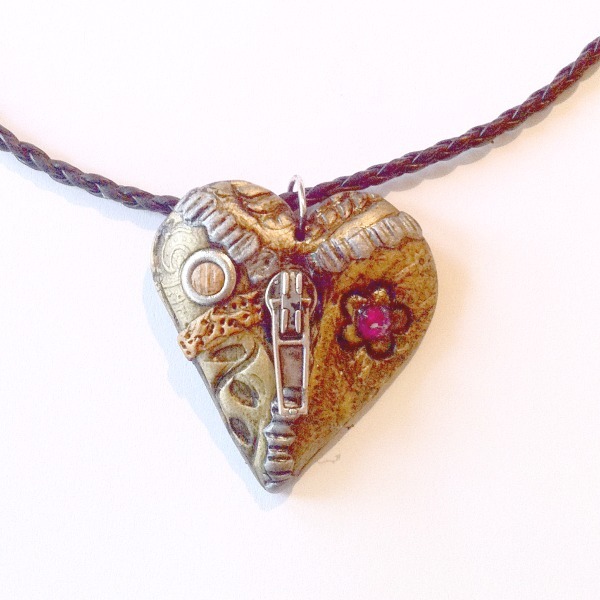 I use polymer clay to make a product that I call Mended Hearts. 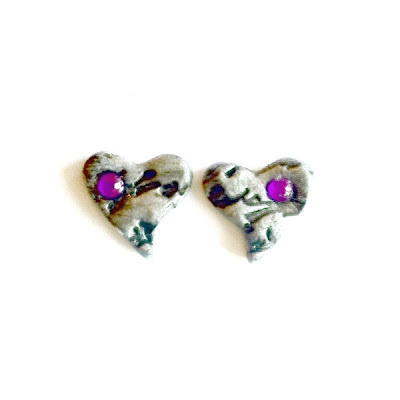 The idea behind the product is that each heart is mended with love. Once mended the heart is now stronger and has positive energy to ward off future heartbreak. 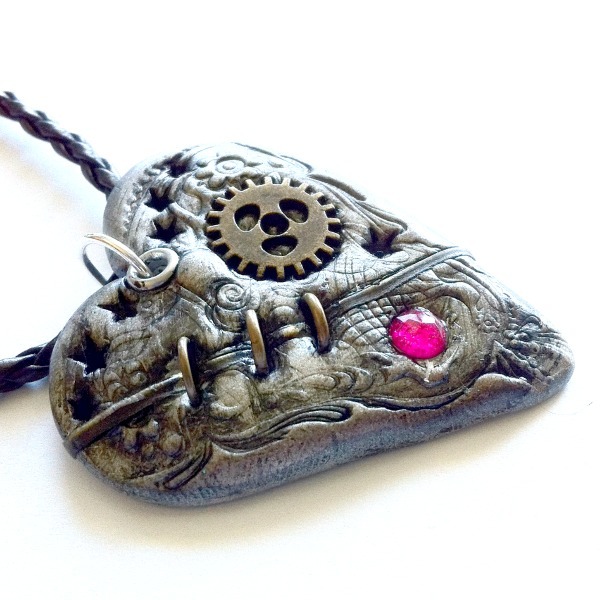 The Steampunk Mended Heart Pendant is handmade from metallic polymer clay and is signed on the back. I have carefully mended each heart by embossing the clay and adding a gears, rivets, zippers, springs, and crystals. Each heart measures approximately an inch and a half across and 2 inches in length. It hangs from an adjustable 18" black braided leather cord. A ball chain is available upon request. The Mended hearts are available in antique silver, gold/bronze and copper. Matching earrings are also available.